Product prices and availability are accurate as of 2019-04-14 11:24:05 EDT and are subject to change. Any price and availability information displayed on http://www.amazon.com/ at the time of purchase will apply to the purchase of this product. 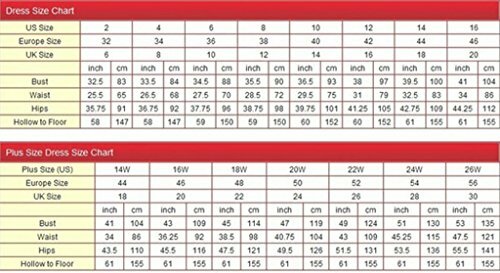 If you can't determine the size.For perfect fit, please check the sizing chart or send e-mail to consult us with your height and weight before order. 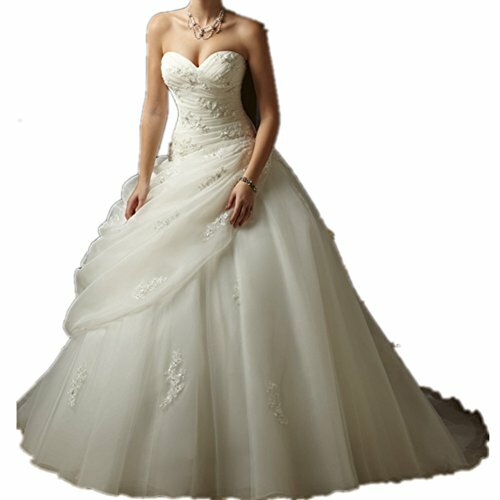 White Satin and Taffeta Fabric with Beads Free shipping, accept returning: if you are not satisfied with our items, you can return it to us within 7 business days. 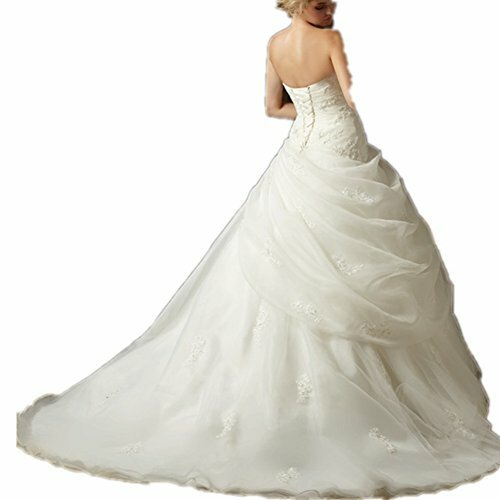 Our bride dresses are made of professional designers that have ten years experience. Selection of high quality materials and fine detail processing. In Stock Please read the size chart image on the left carefully before you order the dress from us,thanks.